I don’t change shampoos that frequently. Okay, maybe a couple of times in a year just because I like to try new stuff. But unlike skincare, I’m a lot stricter about what I use on my hair. I mean for someone with an oily crown of hair that isn’t too thick, I’ll be a fool to take my hair for granted. So when I do try a new shampoo, I have very specific requirements. 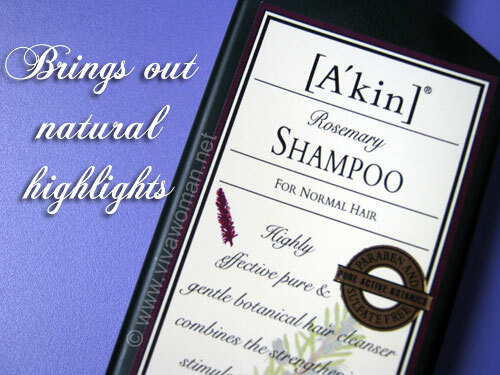 First, the shampoo should not be formulated with notorious sulfates like sodium lauryl sulfate, sodium laureth sulfate and ammonium lauryl sulfate—because these ingredients cause my scalp to become dry and secrete more oil. Second, the shampoo should be free from silicones. Why? Although silicones are said to be good for hair products, what it really does when used over time is to coat the hair shaft and seal out moisture, possibly clogging the hair follicles. When that happens, hair can become flat and greasy with build-up or dry and straw-like with a lack of moisture. Next, I need a shampoo that is gentle enough for me to wash my hair daily without causing my scalp and hair to be stripped dry. Finally, I cannot use shampoos that causes me to notice more hair drop in the first wash. If that happens, it is a definite red flag for me to stop using the product. No way Jose am I going to stick it out to give the product another chance! So yes, my choices are pretty specific. I need shampoos that are gentle yet effective to balance my peculiar scalp condition without drying it up. 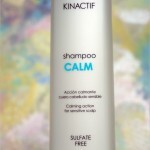 But thank goodness my requirements are not impossible to meet and there are increasingly more shampoos designed to address my hair concerns—like this KIN Kinactif Calm Shampoo for Sensitive Scalp, a treatment shampoo that can be used to wash all types of hair gently on a frequent basis, while at the same time respecting its natural balance and promises to instantly soothe sensitive and irritated scalps such as scalp psoriasis, scalp eczema and seborrhea dermatitis. It was interesting for me to find out that KIN is a Spanish brand that has been around since 1932 after the first World War. Apparently, it came about to meet the needs of women who had became more liberated and active, and wanted to look good. 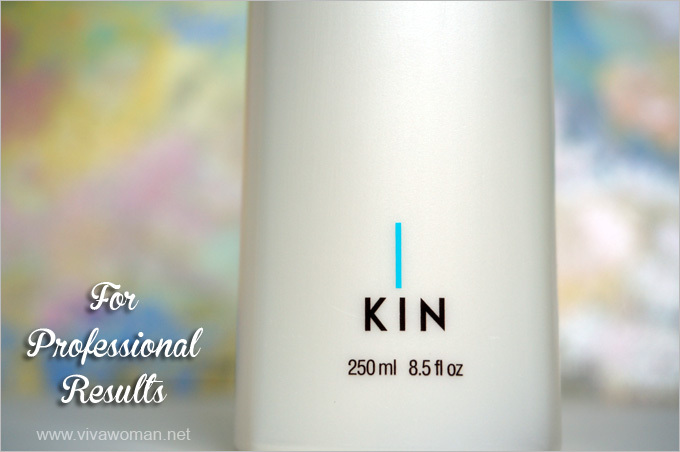 For a brand with such a long history, it is no wonder that KIN has become synonymous with good quality hair products for the hair professionals. 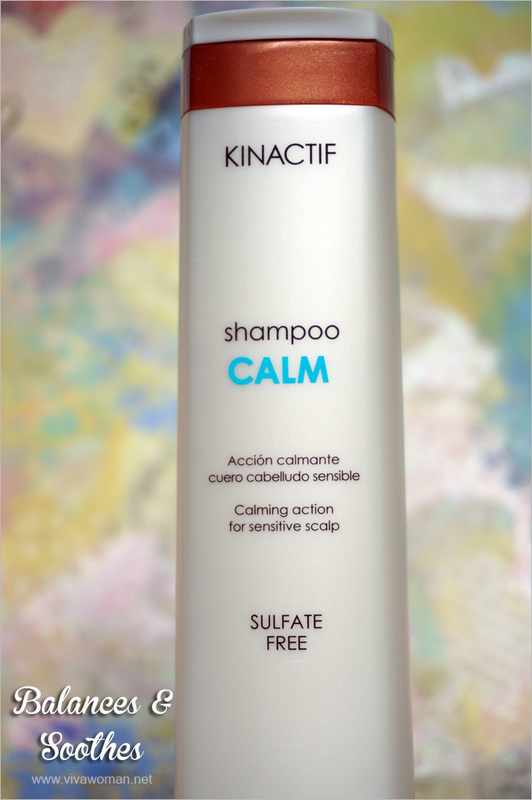 KIN Kinactif Calm Shampoo for Sensitive Scalp comes housed in a 250ml bottle and is made with papaya extract, vitamin F-B5 and SEPICALM, a clinically proven active ingredient. It contains no sulfates, no silicones, no alcohol denat and no parabens. For those who are particular about smell, you may like to know that this shampoo has a light and pleasant scent. This shampoo is part of the KIN Kinactif treatment range which is a complete line of treatments for hair and scalp formulated using KIN’s Active Inside System (AIS), an encapsulated system of active ingredients that attach themselves to the external hair fibre and then gradually penetrate the internal layers. While this product is listed as sulfate-free, meaning it contains none of those notorious surfactants like sodium lauryl sulfate, sodium laureth sulfate and ammonium lauryl sulfate, it has combinations of gentler surfactants like sodium lauroyl sarcosinate, decyl glucoside, cocamidopropyl betaine, and sodium cocoyl amino acids. These gentler surfactants allow the shampoo to lather up quite well after being in contact with water. In addition, although the shampoo is formulated without silicones, this formula does not leave hair dry or tangled. Because I’d a glimpse at the ingredient list, I was not surprised that this shampoo yields an abundant amount of lather. But it did require me to work in a good massage on very thoroughly wet hair. 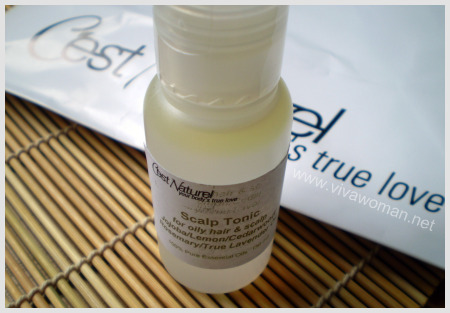 What surprised me was how soft my hair felt after shampooing without using any conditioner. In fact, I was initially wondering why I only received the shampoo. 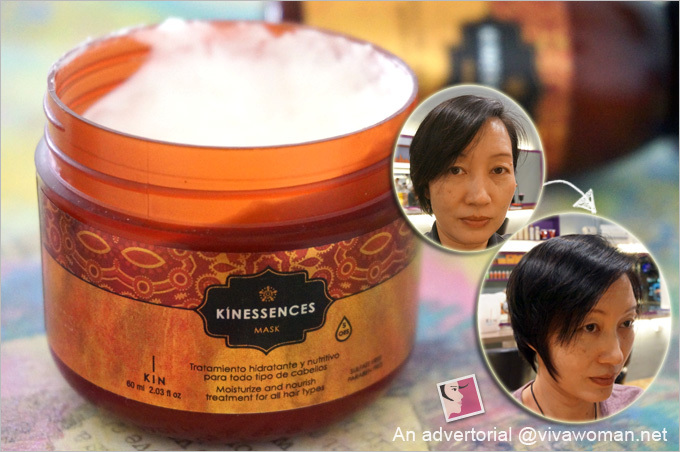 When quizzed about this, Jerald, the manager of KIN Group in Singapore pointed out that only hair treatment products come with conditioners. 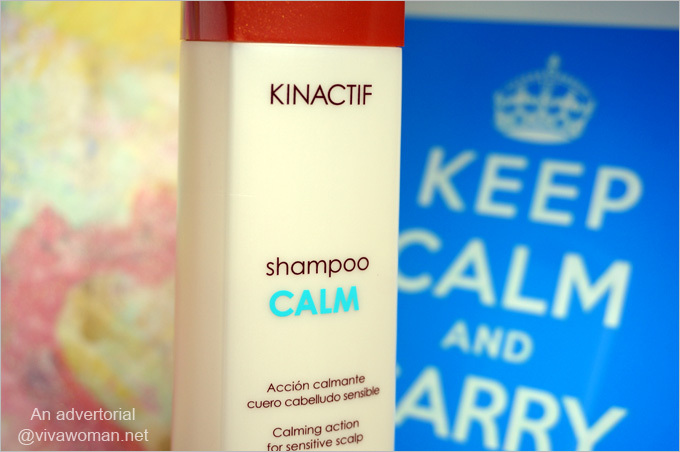 However, KIN Kinactif Calm Shampoo is a specific scalp treatment and hence, does not come with one. I don’t know about you but I certainly learned something new there! Additionally, I also discovered that the pH of KIN Kinactif Calm shampoo is about 5.0-5.5, which is the ideal pH for most scalps and hair types. So unlike most shampoos which are alkaline, this product does not require conditioners to neutralise the ph level. Personally, I have no issues using this shampoo alone because I have short hair and I hardly use conditioners anyway. However, those with longer hair might prefer more nourishment as this product does not contain silicone, which is commonly used in hair products to make the hair soft and silky. In that case, they can opt to use KIN Kinactif Nutri Mask for dry and damaged hair, or their Kinactif Energy Mask for weak and fragile hair. Both come in 200ml containers and cost S$48 each. Okay, some of you may be wondering how can one tell if this shampoo is really gentle. Well, the tell-tale sign for me was that I didn’t experience any additional hair drop after the first usage. Transition was smooth and like I mentioned, my hair felt really soft. In fact, I would even use the word ‘healthy’ to describe how I felt about my hair and my scalp after using the shampoo. 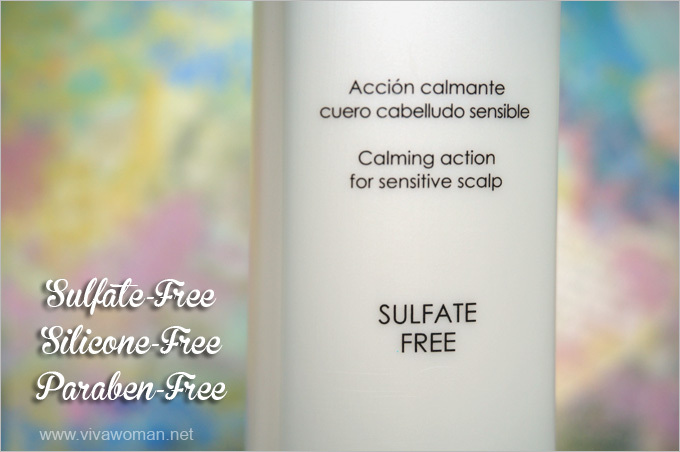 If you have a specific scalp concern (like mine) or you have scalp psoriasis, scalp eczema or seborrhea dermatitis, you might want to consider this treatment shampoo to rebalance your condition. Even if you don’t have a specific scalp condition, you can still consider this product if you’re in the market for a gentle treatment shampoo. The 250ml bottle of KIN Kinactif Calm Shampoo costs S$46 inclusive of free delivery within Singapore and is available at Kin.sg. The price seems a tad upmarket but remember that this is a scalp treatment product. Also, if you consider that for that price, you may only get one or two scalp rebalancing treatment at a salon, it isn’t all that expensive after all. Anyway, the good news is that KIN is offering a 20% discount (inclusive of free delivery) for Viva Woman readers. Just shop at KIN online store (click through) using promo code “vivakin”. This discount is valid for ALL KIN products and is valid till 31 December 2014. And whether you are interested in KIN Kinactif Calm Shampoo or are unsure of what treatment products from KIN’s repertoire of hair products might help your hair condition, do note that you can always call them at 6258 0118 or drop them an email on their website for a free consultation. Hihi … where can I buy in singpaore ? 2. For further free consultation, please contact us @ 6258-0118 or info@kin.sg. 3. Walk-in to any of our authorised KIN salons at your convenient location. you may use our salon locator at http://www.kin.sg/salon-locations/ . Yes, it has happened to me for my hair is kinda weak…with products that contain harsh surfactants and also one that contains oils. I suspect the oils were heavy and caused me to experience noticeable hair loss on the first wash.
i have very oil scalp and hair,as you have the same concern plz suggest a good shampoo.i m in singapore for one week only and in india i am nt able to find a good one targeting my problm.